The name is fairly modern - New town of Stewart. Minnigaff is probably from "Muillin an Ath" - "Mill by the Ford". Newton Stewart calls itself Gateway to the Galloway Hills and is just south of the Galloway Forest Park, which at 300 square miles is Britain's largest Forest Park, and is one of only 4 "Dark Sky Parks" in the western world. The Park has a Sky Quality Meter scale reading of 21 to 23.6 (24 equates to a photographer's dark room). Minnigaff was the end of the Old Edinburgh Road from New Galloway - stretches of this old road, which parallels the A712 for much of its route, is marked on modern OS maps. Bladnoch Distillery (7 miles) is the nearest distillery. 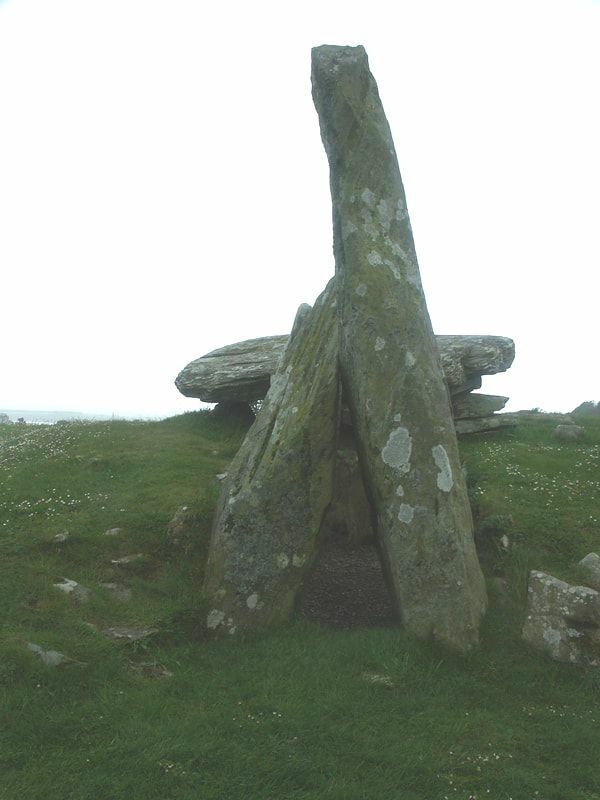 Cairnholy II is a chambered cairn 150 yards beyond Cairnholy I. 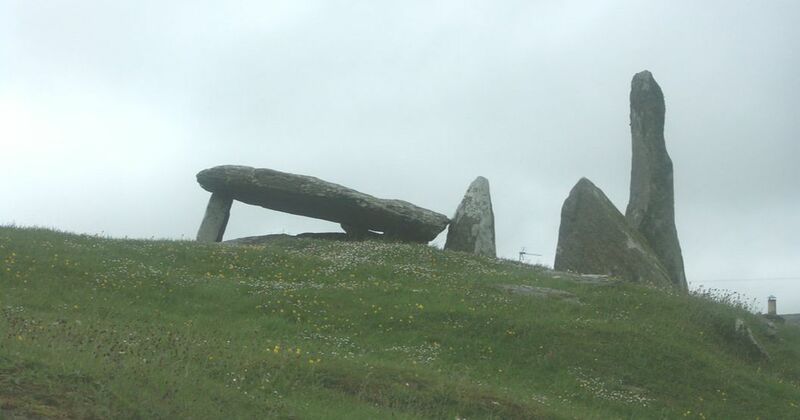 The entrance is again reached through two large upright stones. 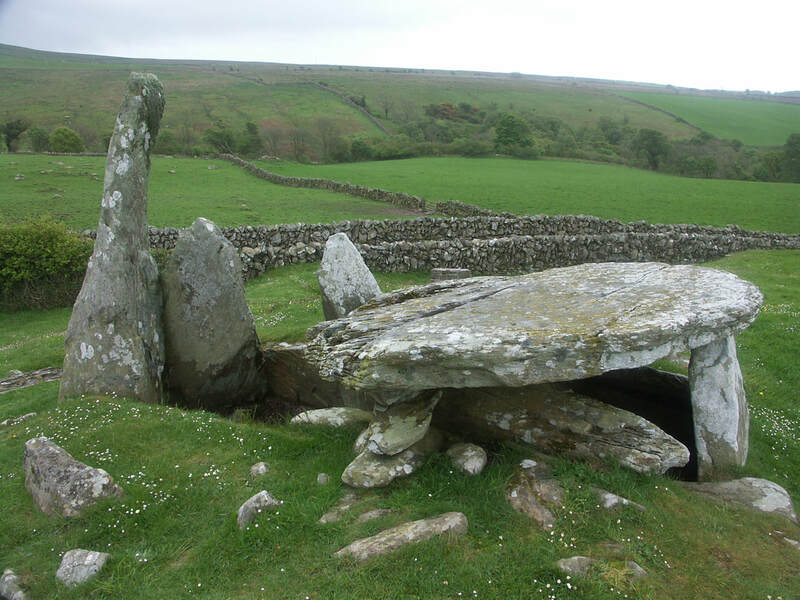 The inner chamber is sealed by an upright stone and is roofed by a large precariously balanced capstone. again there has been much depredation over the millennia. Both are believed to date from between 4000 to 6000 years ago. ​ Cairnholy Joe and the Stones The Megalithic Portal site also has links to other cup and ring marked stones in the area. 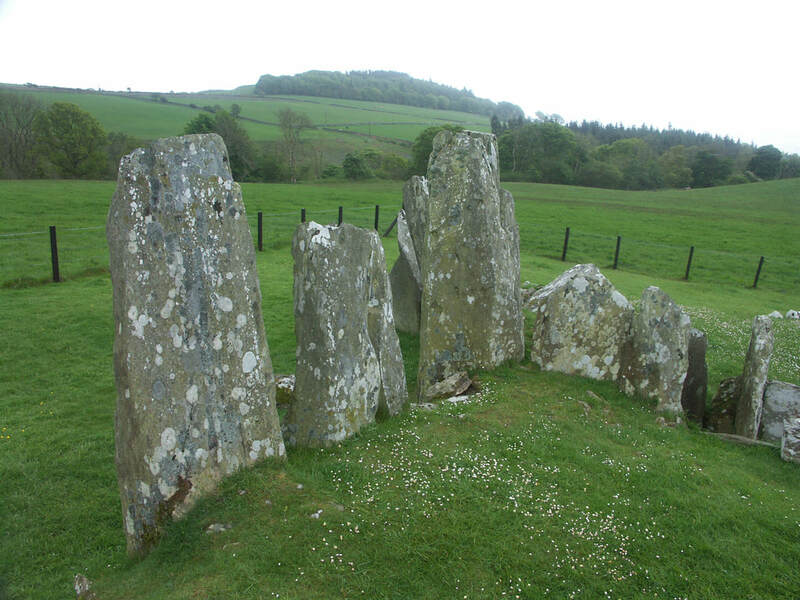 Glenquicken stone circle, aka Billy Diamond's Bridge stone circle, two miles east of Creetown, just off the Old Military Road, and about 3 miles north of Cairnholy has 29 stones with a central stone. There were two more stone circles to the north west, shown on the ﻿1st edition OS map﻿, but nothing appears to remain now - the area was planted with trees, though the latest Google Satellite view shows it's been cleared. 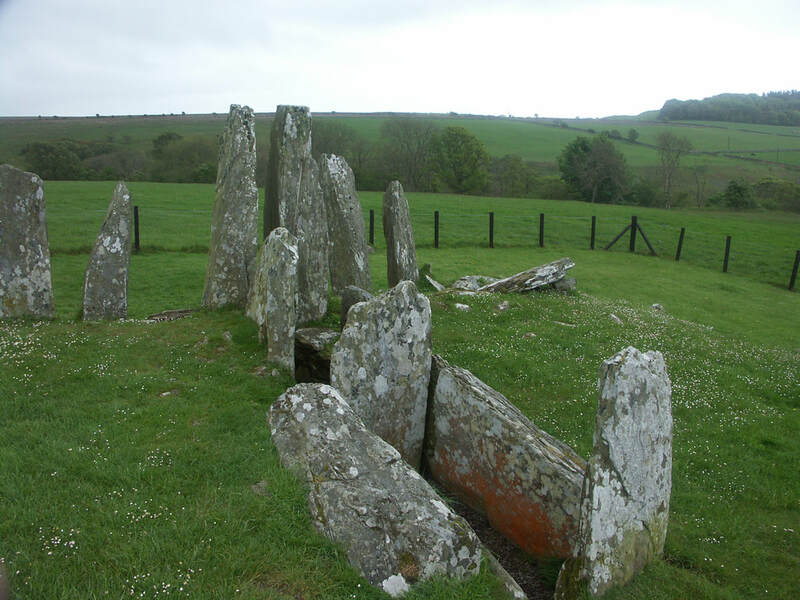 The Torhousekie stones lie to the east of Wigtown and covered on that page. The village of Carsluith is about a mile north of the castle, but doesn't have much except for the Galloway Smokehouse (016571 820354) and Fisherman's Café (01671 820350). Though it is an opportunity to get off the A75, and there's a cycle path alongside the road from there to Creetown. Kirkcowan ("Church of St Comhghain" or "Comgan", uncle of St Fillan) The name presumably refers to an ancient church in the area (Kirkcowan is shown with a church on this map from around 1640), the Old Parish Church is recorded as having been built in 1732, though only the east gable remains in an old churchyard, the current church at the other end of the village dates from 1843. Kirkcowan, which lies close to the confluence of the Tarf Water and the River Bladnoch, prospered in the 19th century due to the construction of two woollen mills on the Tarf Water near the village - Waulk Mill was established in the late 18th century, though what remains appears to date from the 1821 rebuild, the mill closed in 1950. Tarff Mill was built on the opposite bank of the river in 1880, but closed in 1925, only the octagonal chimney remains. Kirkcowan is south of both the old military road and the A75, (the Wikipedia page on the A75 states that Kirkcowan was the first village by-passed by the A75, but the current route was around long before classification in 1922 - 1920s/1850s maps), but was close to the railway, when it was in operation from 1861 to 1965, and had a station. Glentrool Village is in the north if Dumfries and Galloway, on NCN 7. 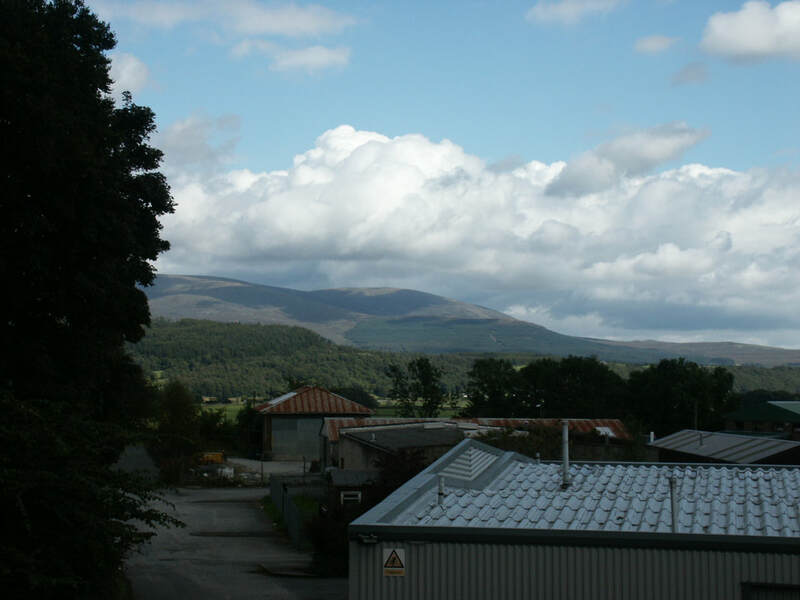 The nearby Glen Trool Visitor Centre calls itself the gateway to the Galloway Hills. The Glen itself stretches along the Water of Trool and Loch Trool, which is only a couple of miles from Loch Dee. The Battle of Glen Trool of 1307, a victory for Robert the Bruce, is commemorated by Bruce's Stone. The Range of the Awful Hand, including Merrick at 843m, the highest mountain in the Southern Uplands, lies to the north of the Glen. 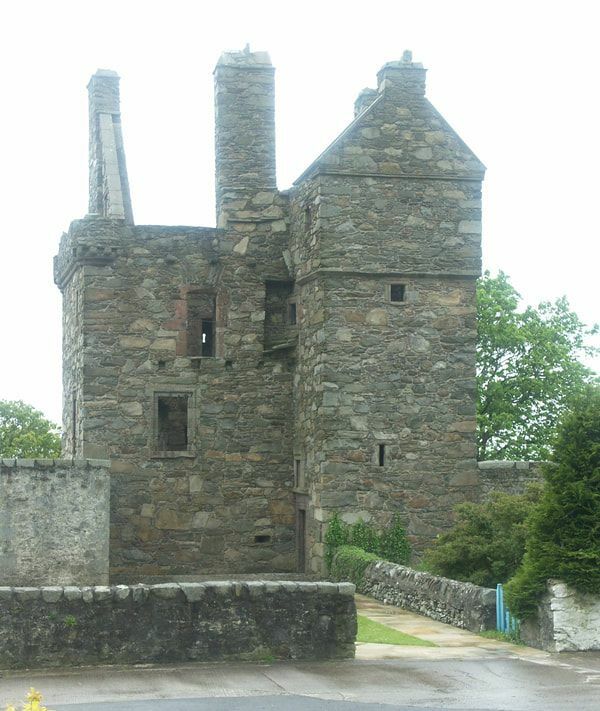 Newton Stewart was established by WIlliam Stewart, youngest son of the Earl of Galloway from around 1677. Though the lowest fording point of the River Cree, there was no large settlement here before then. The small village of Minnigaff still exists on the east of the River at the confluence with the Penklin Burn. The original ford was downstream from Minnigaff and replaced by a bridge in 1745, though this was washed away in 1806, a replacement built in 1813 still stands. The Portpatrick Railway (Dumfries to Stranraer and Portpatrick), crossed the Cree about a mile south of Newton Stewart then it ran to a site west of the town where the station was located. Later the Whithorn Branch left the main line immediately after the station and ran parallel to the line into Newton Stewart for a mile. Bikes are carried on Stagecoach bus 500 from Dumfries to Stranraer, which passes through Newton Stewart. I remember this shop as I had split a tyre on some sharp stones on the edge of the road a couple of miles outside Newton Stewart in 2005 - doesn't show in search for Bike shops in Newton Stewart as bike hire/repairs etc is just one of a number of services provided by HDI.